Prayer is essential if we are to enjoy a close relationship with God and grow as Christians. And yet so many of us struggle with it. 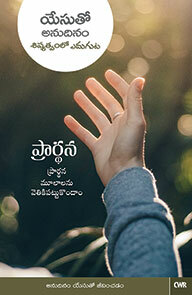 In this issue, Selwyn Hughes explores some of the difficulties we can experience in communicating with God, and how to overcome them. We consider: why we worship; the importance of thanksgiving and praise; how to listen to God; asking for things for ourselves and others; and much more. Come to see prayer not as a chore or a ritual, but as real and intimate expression between you and your loving heavenly Father. EVERY DAY WITH JESUS (ONE YEAR DEVOTIONAL) COMP.